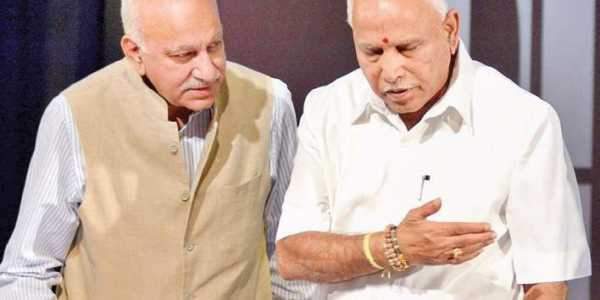 BENGALURU: Minister of State for External Affairs M J Akbar on Tuesday termed former Prime Minister Indira Gandhi as an ‘imperial queen’ and said that she was responsible for one of the country’s darkest moments during the Emergency which, he alleged, was done to keep her in power. Speaking at an event recalling the days of Emergency, Akbar urged people to reject what he termed was a dynasty looking to rule India. Akbar said, “Many of you were not born during the days of the Emergency between 1975 and 1977. Nothing in your imagination will be able to describe the sense of dread that people had to endure during those times. In many ways, it was Independent India’s Jallianwala Bagh moment as it was the turning point for the beginning of the end of the Congress’ hold over the country.” The emergency was declared on June 25, 1975, and lasted till March 21, 1977, when elections resulted in Indira and her son Sanjay Gandhi losing their seats. “India had been turned into a tinpot dictatorship. She did not realise when she called for elections that you may carry out many sterilisation programmes, but India will never be impotent,” Akbar said, describing the general elections which resulted in Indira Gandhi’s loss. Lambasting the Congress for linking its fortunes with that of the Gandhi family, “Even if the party is defeated in polls, as it was here, it will not accept the people’s decision and will twist and turn and do anything to find its way back to power,” he said. BJP state chief B S Yeddyurappa also spoke earlier. Accusing the Congress of ‘history deficiency’, Akbar said some remarks made by Congress leaders were due to their low IQ. He was responding to remarks made by AICC spokesperson Randeep Surjewala comparing PM Narendra Modi to Mughal emperor Aurangazeb.To a question on online trolls attacking the External Affairs Minister being followed by other ministers of the Modi Cabinet, he said that he was unaware of the issue.